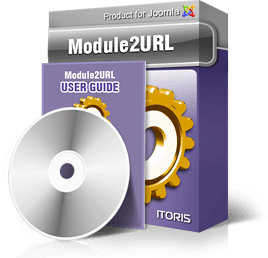 Module2URL is a Joomla plug-in for inserting modules to Joomla artilces or any other pages that are not available from menu.Perhaps you have run into a problem that modules cannot be associated with articles until the article is bound to a menu directly. If some of your articles are available via links only – it is a real pain. Our new plug-in Module2URL is the solution you have been looking for! Moreover, modules can now be assigned to any Joomla pages (even retrieve password form if you wish). All you need is to add URLs of your pages to a new text area you will see in each of your modules (both direct URLs and SEO-optimized ones deal). Yes, as easy as that, no more need to use hacks or create modules for adding modules! Select Extensions -> Plugin Manager, find it in the list of plug-ins (System - Module2URL) and enable. Open any of your modules. 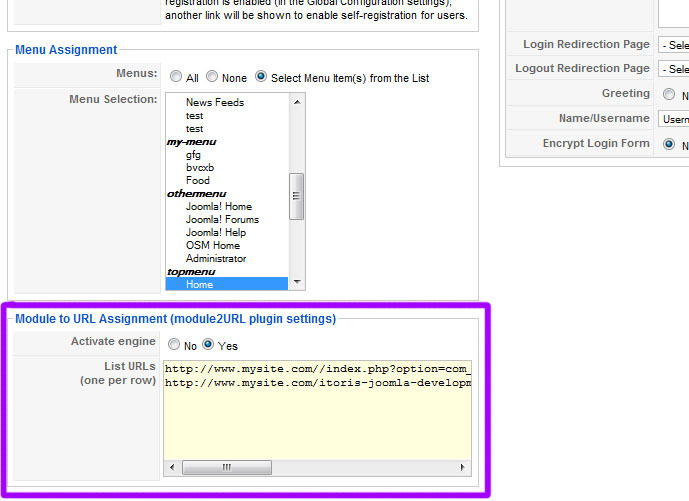 Under the “Menu Assignment” you will see a new “Module to URL assignment” area. Select "Activate engine" add URLs there. Save and done!